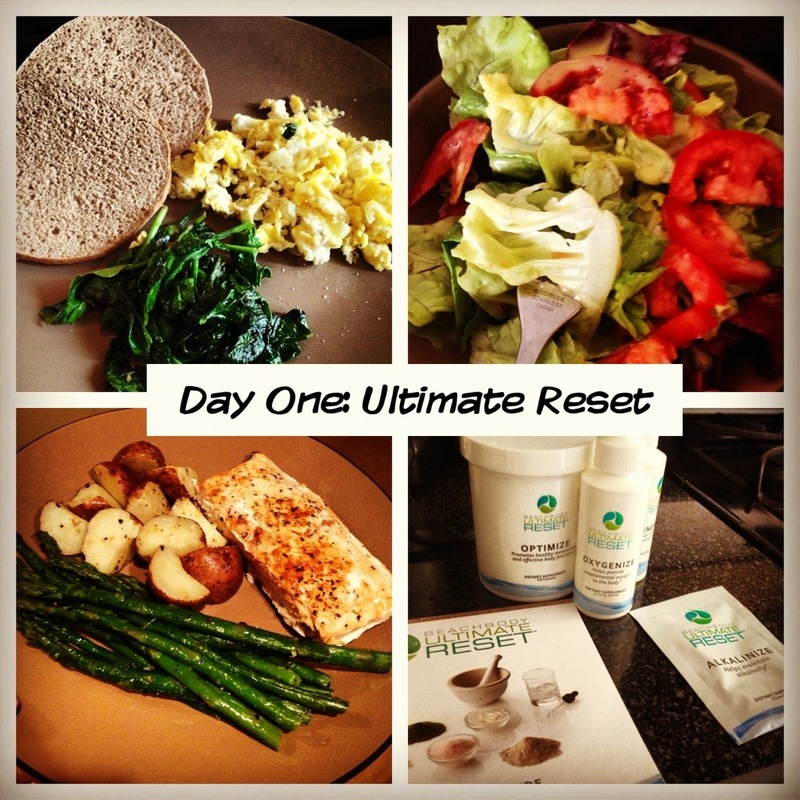 Today kicked off Day One of the Ultimate Reset. I decided to do this 21 cleanse program for one main reason: I wanted my body to be able to keep up with my goals and dreams. Nutrition plays a major role in how our bodies perform, operate and how we feel. This in turn affects how we go through our days, how we feel about ourselves and how we feel about our future. If my body isn’t at it’s best, then I can’t be my best. Over the past 3 years I have improved my fitness levels, I recently finished Insanity with major improvements. However, my eating habits are what is holding me back. The Ultimate Reset is a 21 program that focuses on eating very clean and supplementing the body with vital components to restore, balance, cleanse, detoxify and reset the body back to its optimal settings. Day One wasn’t that bad at all. I never felt hungry or undernourished. The recipes are easy to follow and are quite tasty. I plan on eating them even when I’m off the Reset. My favorite was the Creamy Garlic Salad Dressing that I made today for my salad. I wasn’t a fan of spinach and eggs for breakfast, but it kept me full until lunch with no hunger pangs. The supplements were pretty easy to take and I set an alarm for 8am, 12pm, 3pm, and 6pm so I don’t forget. The only supplement that I don’t think that I will ever get used to is the Alkalinize. It has a dark vibrant green color, smells like grass, and tastes like salty wheatgrass mixed with dirt (LOL). So I decided to take that as a shot complete with a lemon wedge to mask the taste. I also held my breath. All in all, I’m excited for this 21 day program. I think that I will get the results I am looking for (lose at least 5 pounds and drop my body fat by 5%) and hopefully will adopt a new way of eating and fueling my body.